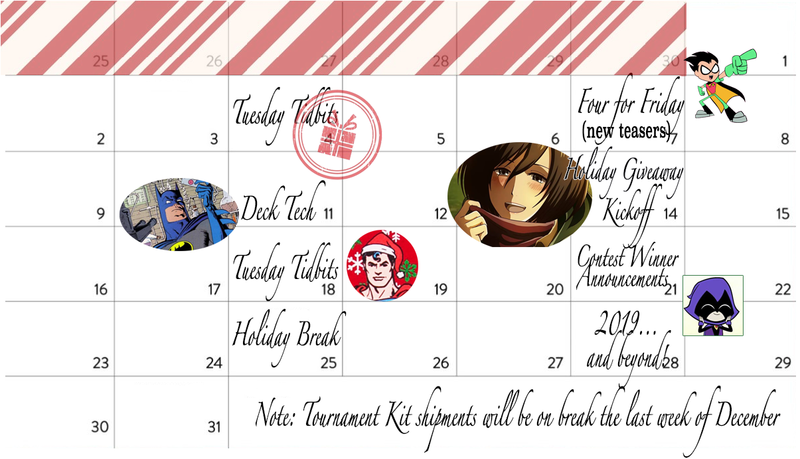 December’s schedule, an online tournament, and more below! The grassroots “MXOLT 3” online tournament will warm things up in January – head over to their Facebook group to find out more. The last event provided significant insight into the burgeoning metagame, and we’ll take an in depth look at the upcoming results on the blog. There’s only one Deck Tech slot left for December, and we’re looking for your best winter themed build to feature on the blog! Send your submissions to OP@paniniamerica.net – and check back next Tuesday for the final deck tune-up of 2018!